Mental muscle is a quality read. As I was reading the chapters and exercises I just knew I was going to get a lot stronger by following the simple ideas and strategies in the book. Want to make the impossible possible on a routine basis? 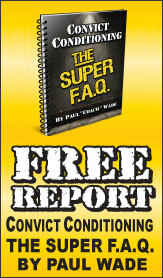 Want to discover instant strength gain secrets hidden from 99.97% of all current personal trainers? 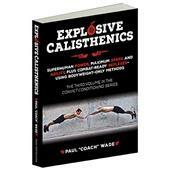 Utilized successfully by a tiny handful of elite strongmen and world-class athletes? Then Mental Muscle is your magic bullet. “Mental Muscle is THE mind manual for people who want to intentionally connect their brain to their body and experience amazing results now. As in RIGHT NOW. 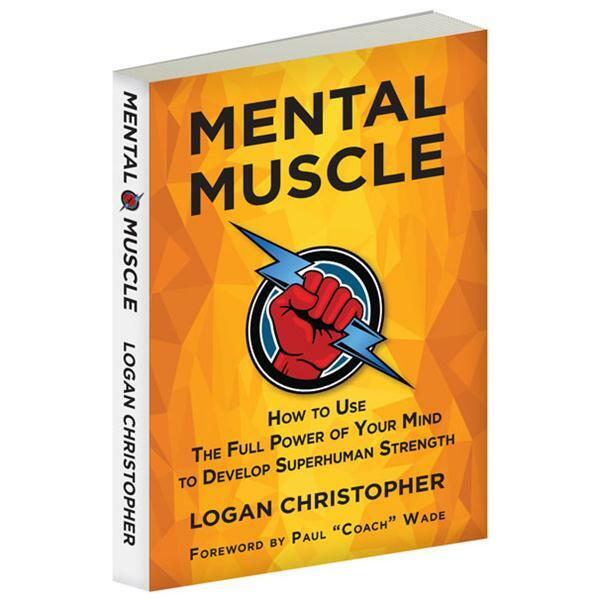 In this breakthrough book, Logan completely demystifies mental training, making it as easy to understand as hoisting a barbell. You'll get the ‘how’ and the ‘why’ and immediately be able to plug in easy-to-understand techniques to improve yourself and crush obstacles like a sledgehammer. Here is the complete blueprint on how to make instant, massive strength gains a reality—step-by-step, with nothing overlooked and nothing held back, in a format you can replicate at will, over and over and over and over. 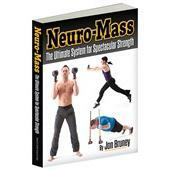 How sure are we that Mental Muscle (paperback) will work for you? Simply fill out the form below and put Mental Muscle (paperback) to work for you right now. Obviously, we would go out of business if Mental Muscle (paperback) didn't work, the way we said, right? With the promise of a full refund if you're unsatisfied, you have nothing to lose by trying Mental Muscle (paperback). Go ahead and try it today. Let’s say you have never been able to bang out more than 2 reps of a 1-Arm Push-Up and suddenly—just with certain mind-control secrets—you can blaze up to 7 reps! And yes, in a recorded time of 6 minutes, 30.9 seconds, Logan coached Katie to go from her previous best of 2 reps in the 1-Arm Push-Up to an eye-popping 7 reps! Katie’s recent PRs include a 300lb Conventional Deadlift, a Front Squat of 175 and a Bench Press of 155—at a bodyweight of 130. In the kettlebell arena she has drilled a 26kg 1-Arm Press, a 26kg weighted pull-up and a 24kg Pistol. Just imagine what Katie’s PRs here are going to look like down the road when she employs Logan’s Mental Muscle secrets to her lifts! The sky’s her limit, right? Katie’s comment to me after the fact: "I felt like I was floating on air…"
Her training partner, Senior RKC Rob Miller could only shake his head: "I’ve been trying to coach Katie beyond those 2 reps FOREVER—and couldn’t do it!" Yes, there’s serious magic in your mind—but how DO you harness your full mental powers to make the formerly impossible a breeze? Want to make the impossible possible on a routine basis? Want to discover instant strength gain secrets hidden from 99.97% of all current personal trainers? And utilized successfully by just a tiny handful of elite strongmen and world-class athletes? And your lack of heavy-duty strength gains speaks for itself…does it not? Mental Muscle: How to Use the Full Power of Your Mind to Develop Superhuman Strength. 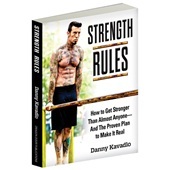 Many so-called experts SPEAK of the importance of mind training for supreme strength—but how many of them ever gave you the complete blueprint on how to make instant, massive strength gains a reality—step-by-step, with nothing overlooked and nothing held back…? In a format you can replicate at will, over and over and over and over? Look, here’s a self-confessed, abject, teenage weakling who’s transformed himself into a modern maestro of multi-disciplinary strength feats (like his hero The Mighty Atom). Deadlift 500lbs, tear a 4-inch thick phone into shreds with his bare hands, press a 106lb kettlebell over his head for reps, pull an 8,800lb fire truck for distance with his hair and support a half-ton of weight while in a wrestler’s bridge position—to name just a few of his accomplishments. If a once-upon-a-weakoid like Logan can generate these kinds of results—thanks to his Mental Muscle secrets—just imagine what YOU could achieve in monster instant strength gains! The first section, How Your Mind Controls Your Body, gives background information showing just how powerful the mind truly is. A large portion of this section is dedicated to the placebo effect as the research in that area is amazing and showcases how powerful the mind-body is when it believes it can do something. The second section, Mental Training Tactics and Techniques, shows you some of the most important focus areas in mental training. This includes how to properly set an outcome, use hypnosis, visualization—including the all-important submodalities—and anchoring. These skills form the foundation of your mental training, and with them you can move into the next section. The third section, Peak Performance Drills for Strength, Muscle, Fat Loss and Skills, covers specific drills based on the methods covered in the previous section. In this section, training goals are broken up into four main chapters: training for strength, adding muscle, losing weight and finally for sports and other skill-based movements. This section wraps up with a lengthy and in-depth drill for achieving flow on demand. The final section, Transcripts of Mental Training with Clients, shows you these methods and drills in action. You'll read word for word transcripts of Logan coaching clients through the drills and into achieving success with various exercises. This includes the complete process of the story that started Mental Muscle, among several others. After reading all the way through I decided to try one of the exercises,I love handstand push ups and I am currently working towards full head to the floor 2 second down and 2 second up under complete control before reading mental muscle I was doing partial handstand push-ups down to a yoga block and maxing out at 4 reps. Straight after performing one of the visualisation techniques I cranked out 5 reps down to a book half the height of my yoga block. Fair play to Logan and his new book it must have planted a seed inside of me as later on in the day I was walking past my wall where I play with my handstand push-ups and without thinking I just kicked up into my handstand and performed 1 full head to floor push-up under complete control and too be honest I think I could have done more but got all tripped out and lost my focus. Can't wait to implement mental muscle into all parts of my life . Rated 10/10 Your mind-enemy or friend? It's taken me about ten years of training to learn that the mental aspects of the iron game are AS, and maybe even more important than the purely physical. This book helped open my eyes and made me realise exactly what my training lacked. Easy to read, packed with info and exercises, this is a dense and brilliantly researched volume. Read it, re read it, practice the methods and you will get stronger. Cause even right now, you're already stronger than you think you are...and this book will make you believe in that fact. Rated 10/10 Building Muscles Between Your Ears! Mental Muscle may be one of the most important books ever written about training. Why? Because while most books deal with reps, sets, techniques and exercises, Mental Muscle deals with the missing link--mastering the mind-body connection. 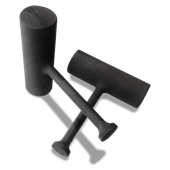 Beyond the mechanics of strength training (the hardware) is the software, the essential programming, that will allow you to achieve more, a lot more, in a lot less time. This is where Mental Muscle makes its mark and it does so with a vengeance. Developing strength takes a lot more than progressively hoisting heavier and heavier loads. It takes the ability to tap into areas of the mind that have not been previously explored or mined. These untouched areas are the key to enhanced performance and accelerated learning --and you will only get there is you are able to unlock and use those areas. 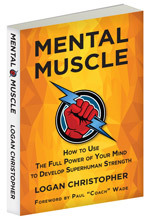 This is where Logan Christopher's book Mental Muscle comes into play. Logan gives you the basics behind various Hypnosis and NLP techniques that will allow you access to areas of your mind that are currently under-utilized. These skills, explained in simple and easy to follow terminology, can mean the difference between average and excellent to the dedicated athlete. Logan explores a number of (surprisingly) effective ways to get near instant increases in strength, mobility and recovery. Tactics and techniques that Logan has fine-tuned are revealed in a manner, which with a little study and practice, can be applied to yourself or a client. NOTE: this is not your run of the mill training book and the information within is quite powerful. The catch is that you're going to need to study the techniques and practice them before they will be of any benefit to you. Training the mind is the same as training the body: you only get out of it what you put into it. Goes real deep into detail, the techniques you can use to facilitate victory in whatever you do. 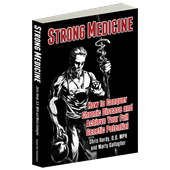 The book mainly applies these techniques to the specifics of physical culture, but you can use it for martial arts, survival, healing, spirituality, etc. Do yourself a favor and read this book. Logan has laid out a path that will effectively transform not only your training, but your life. Bold statement? Sure. Can it be backed up? That's up to you. It's a quick, enjoyable read, full of keen insight and powerful tools that allow you to take off the brakes, burn brighter, and access your true potential. Rated 10/10 Give yourself a push in the right Direction. I'm a big head. I'll start with that, get it out in the open. I'm motivated to train & I like what I do. I've achieved a lot of my big ambitions - swimming the English Channel being the one that is most recognizable. Brute force, determination & a measure of being foolish in the face of seemingly overwhelming odds has stood me in good stead. I conjure up an audience who spur me on when the going is tough & I have a lot of mental techniques that I have utilized over the years. Why would I buy Logan's book? I reckon I can still learn a thing or two - & being a regular reader of the PCC blog, the style of some of the authors who's books are for sale here becomes familiar. Titles, covers & advertising don't have much effect on me - in the old style book shops I'd flick through a few random places to see if I liked the content & buy - or not. Reading the blog is like standing in the bookshop. You can try an author out for size & buy (or not). Logan wrote a good article & I decided to buy his book. He methodically identifies successful techniques that will improve the performance of those who need a bit of a push in the right direction. Much of what he promotes I'm familiar with so can agree that he has an effective system. A few surprises too which I'll absorb into my own mode of training. I give the book a ten because it does what it sets out to do. If you have doubt in yourself, internal conflict or feel that you are holding yourself back it would be worth working through Logan's system. Rated 10/10 Left me wanting more. This is the best work of its kind around. It goes far beyond the "be strong and resolute" or "make it fun" sort of mental preparation that is so common. I have several years experience with NLP and some Aikido work behind me and I can say that Logan's work is consistent with everything I have learned about applying motivation to working on physical goals. I can only hope that he goes farther with it, since he has opened the door to truly vast areas. His way of getting from wishes to goals is immediately applicable for everybody. I appreciate the fact that he is not afraid to talk about hypnosis and self-hypnosis as ways to approach it. I am not sure that he needed to go into so much detail with a script, but then I am not familiar with his audience. The way he handles it in his videos works quite well. I could have worked more with visualizations, and going into the other senses. When Logan talks about breaking skills down into smaller chunks, he is right on target for going into progressive practice. I would suggest that he could also go into backward chaining at this point. His sub modalities discussion is good, but some of his readers, those without NLP knowledge might say "Huh?" at about this time. But he is going in the right direction with his "dial" idea. I know someone who has a complete dashboard with dials and knows for adjusting intensities, brightness,sounds, and so on. Practice doesn't make perfect; perfect practice makes perfect. I think this is where he is going with the revivification discussion. His metaphorical visualization suggestions open the door for really exciting possibilities. The end seemed a little abrupt, but I think maybe it was just because I wanted More, More, More. Good work, Logan. Logan did a great job with this book. Put these exercises into practice and you WILL see results! If you could get more out of the physical training that you're already doing...you'd be crazy not to at least try this out. A must read and turn to book for those in need of the elusive mind to the body connection. You can start to apply Logan's work right away.